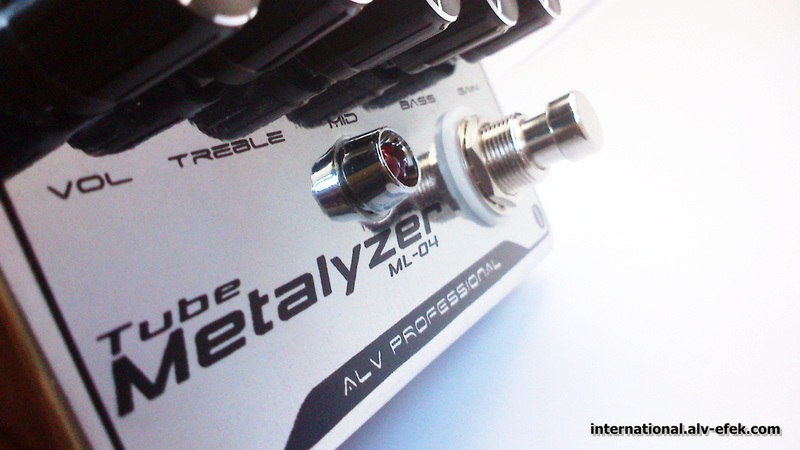 ALV Metalyzer ML-04 - Modern Rectified High Gain Distortion Pedal, like amp in a box. 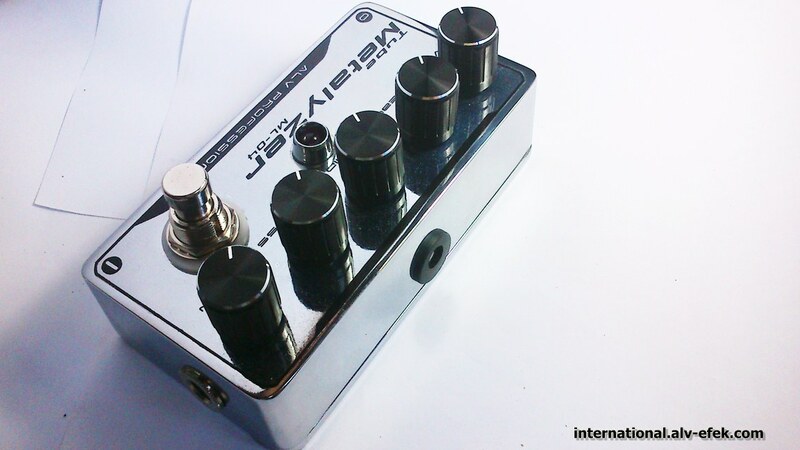 This pedal is an aggresive and very high gain pedal, this pedal can produce a very heavy wal of brick distortion held together very tight and clean. A great pedal to spend some time playing through.. Very good for Solo Metal Lead, Distortion rythm, or in Drop D, etc. 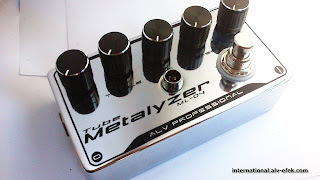 his pedal uses primary many dual opamp IC referred to as low noise and high clarity sound. With special features, such as using the best electronic components, true bypass footswitch (to preserve the original sound quality of the guitar), indicator LEDs are brighter, used a strong enclousure, etc. The ALV Metalyzer ML-04. This pedal is an aggressive high gain pedal and tonal characteristics are somewhat similar to high-gain tube amps that have been the stable of hard rock and metal sounds since the 80s. On the right, there is a true-bypass switch with an indicator LED to bypass the entire effect.